Each month we host a series of events at Another Castle & around the Pioneer Valley. Check below to see what’s coming up! 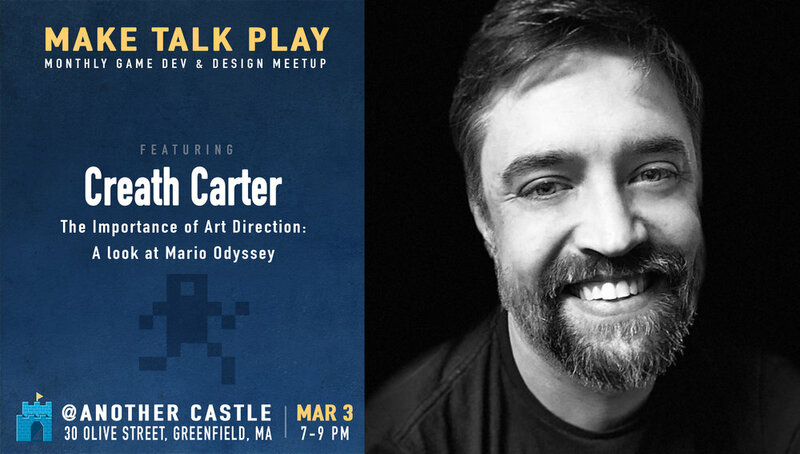 The Importance of Art Direction: A look at Mario Odyssey by Creath Carter. 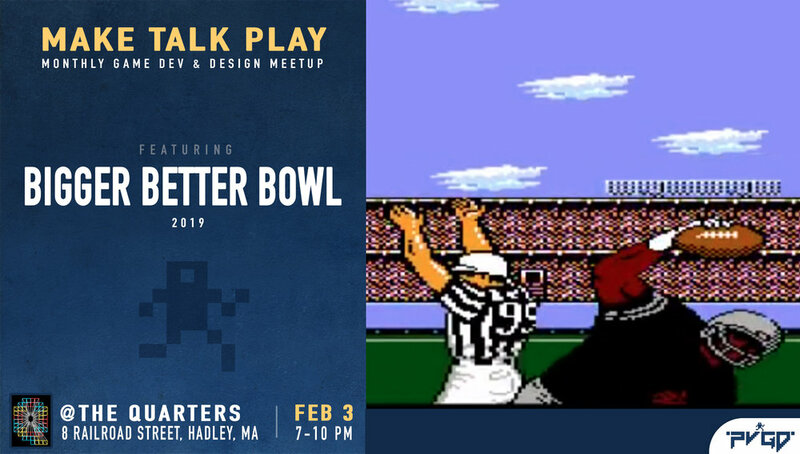 Come join us for multiplayer game competition on the projector! This was a 48-game jam located at Another Castle. 50 people attended, 15 games made, good times! 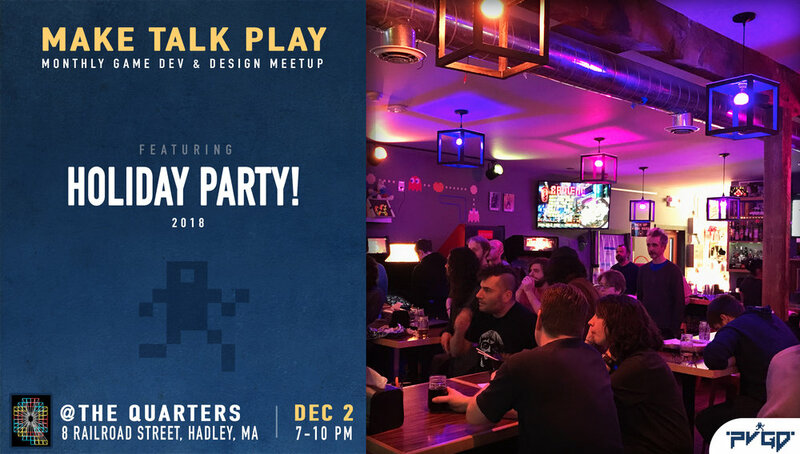 Socialize and celebrate the December with a bunch of game devs! Local game developer Jesse Crafts-Finch presents an overview of the great game development engine called FlatRedBall. Learn how to make games in this fantastic 2D game dev environment! 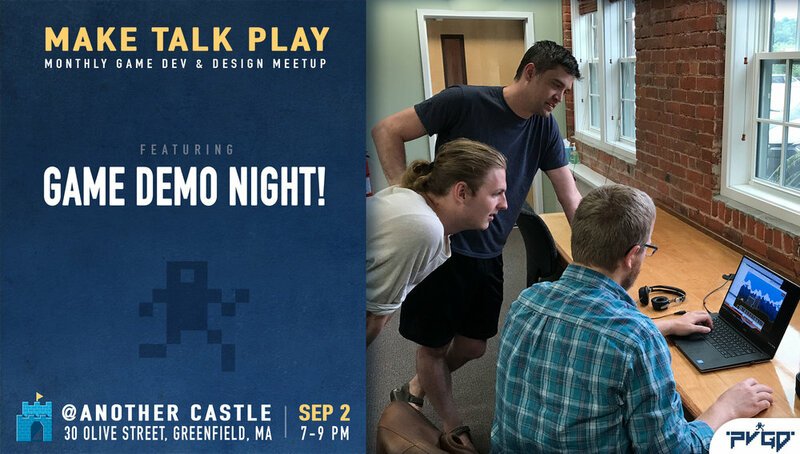 Come hang out with local game developers and learn from those in the industry! Do you have a game to show off? You better! Because it is game demo night. Bring your games, show them off, play others games and have a good time.